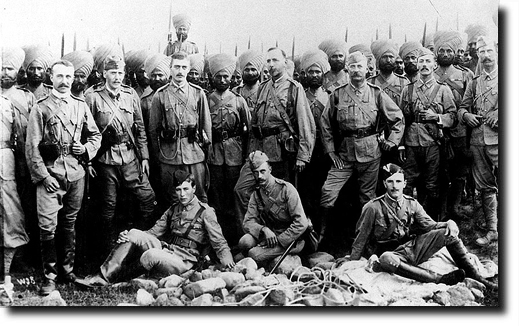 Officers and men of the 45th Sikhs looking surprisingly fit after the gruelling battles at Malakand and Chakdara. Lt Rattray is on the left with a bandage over his neck wound. Standing 3rd from left is Lt Wheatley. The commanding officer, Lt-Col McRae is third from the right.